The zoo’s general curator, Mike McClure, says the 6-year-old rhino’s condition suddenly declined after he had been undergoing treatment for serious health issues, but was eating, drinking and behaving normally for the past several weeks. The Maryland Zoo posted a video showing staff removing his wheelchair to make it easier for him to burrow down for the next six months. The zoo built a large outdoor brumation habitat mimicking his natural habitat. 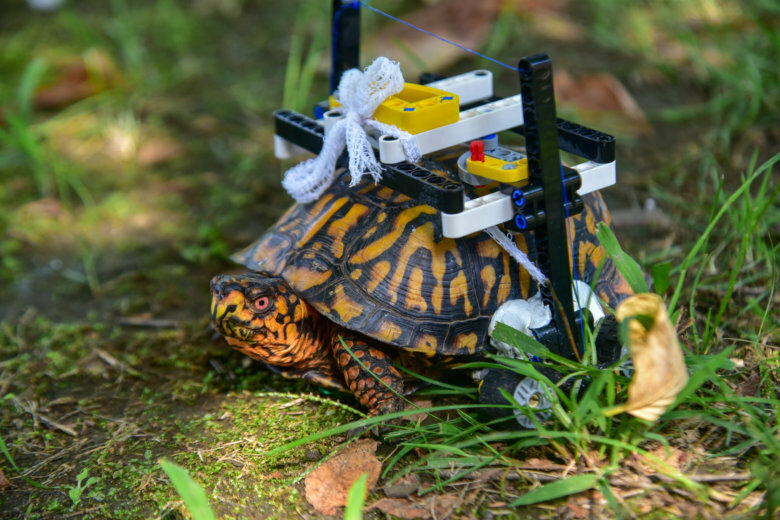 In Baltimore at the Maryland Zoo, a simple box turtle is getting a news lease on life thanks to a children’s toy. On My Take, Clinton Yates explains how a problem can be solved with the simplest of things. 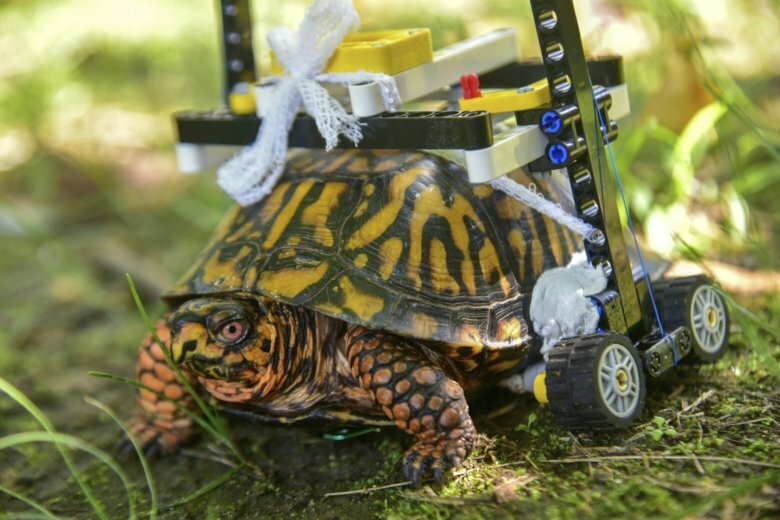 A wild Eastern box turtle at The Maryland Zoo is rolling along just fine and healing from an injury to its shell thanks to the help of custom-made wheelchair made from LEGOs. See photos and video. Next week, the Maryland Zoo will say so long to 12-year-old female chimpanzee Jambo and welcome a 35-year-old chimp called Abby. 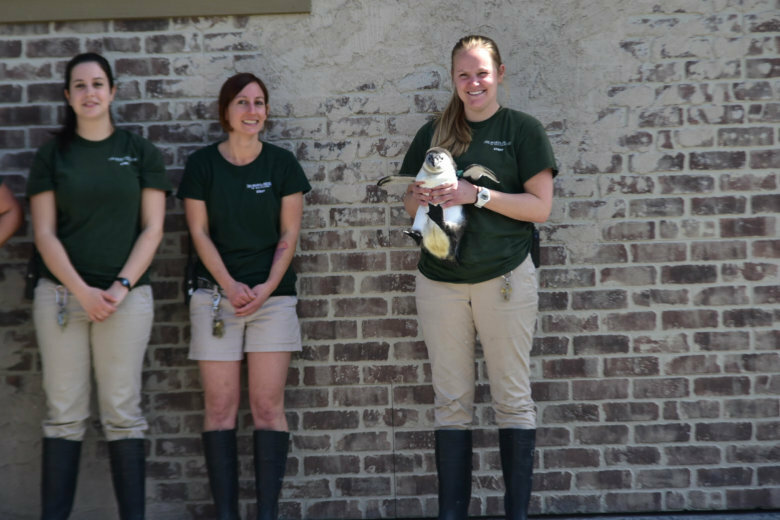 Penguin fans have spoken, and after thousands of votes, the Maryland Zoo’s 1,000th penguin chick was named Friday. 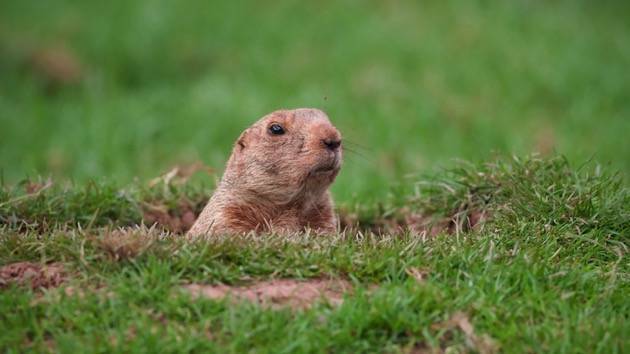 A wild groundhog caught in the Maryland Zoo July 8 had rabies, and officials are warning those who may have touched the animal to contact the Maryland Department of Health. The groundhog, which was not part of the zoo’s animal collection, had been following a visitor before staff captured it. A Maryland Zoo giraffe is currently in an intensive care unit after veterinarians found a change in the giraffe’s blood work. A struggling newborn giraffe in Maryland has received a plasma transfusion from a giraffe in Ohio. 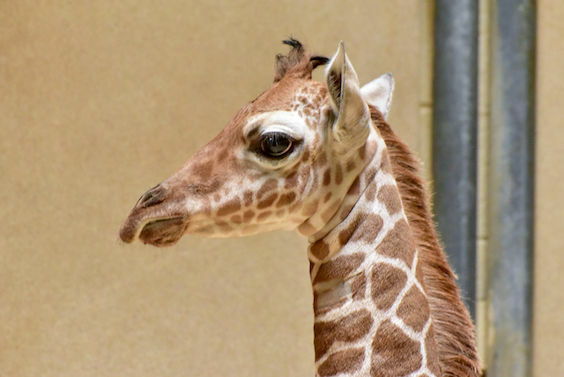 After a public online vote, the Maryland Zoo in Baltimore has revealed the name for its nearly three-week-old giraffe calf: Say hello to Willow. 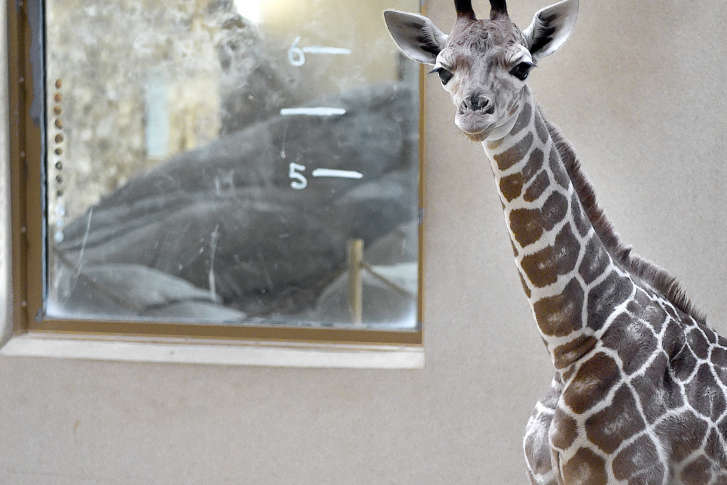 Baltimore is saying hello to a baby giraffe born this month that has yet to be named. The Maryland Zoo has a list of name options that people can vote on until Thursday morning. 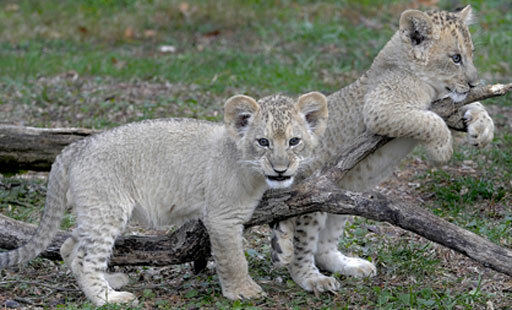 Two adorable lion cubs at the Maryland Zoo in Baltimore have names – Luke and Leia.